On a yearly basis, the HMPP committee nominates and selects honorees who identify as members of the LGBTQ community, whether living or deceased, and who have made exceptional contributions or service to the Greater Long Beach Area LGBTQ community. The event also honors Pride Month in Long Beach and commemorates Harvey Milk’s birthday. 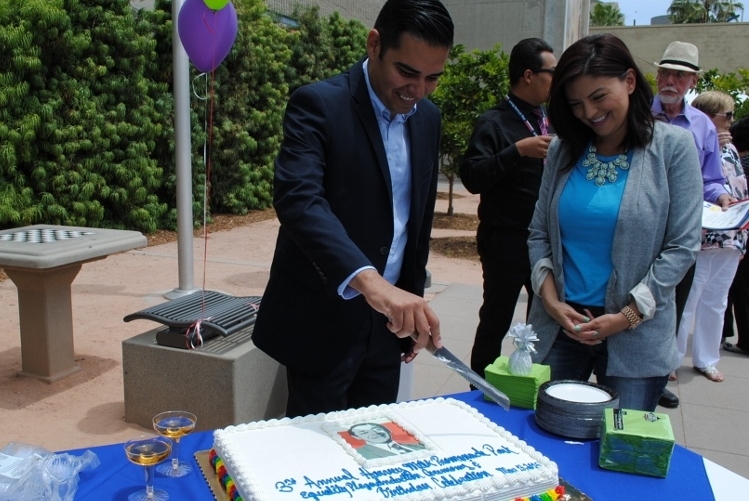 According to the release, HMPP opened two years ago and is the first park in the nation to be named after the relentless equal rights activist and one of the first openly gay persons to be elected to public office in the U.S. 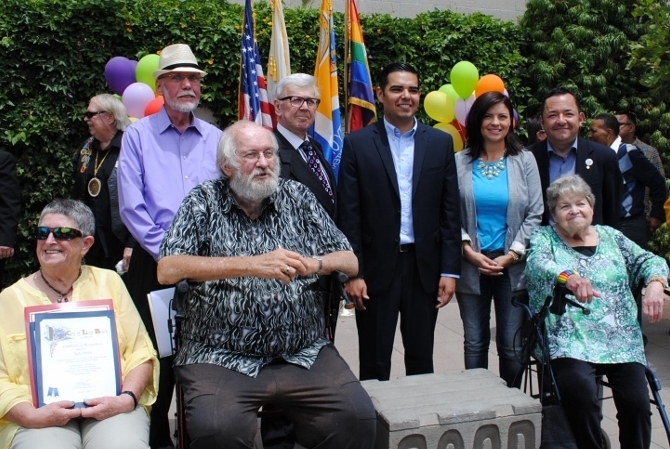 The 2015 honorees received a plaque and stood proudly next to Mayor Robert Garcia and Councilwoman Lena Gonzalez by the concrete replica of the soapbox on which Milk stood to inspire his audience. The 2015 honorees included David Hensley, who has been volunteering for 25 years at the ONE Archives in an effort to record LGBTQ history as American history. 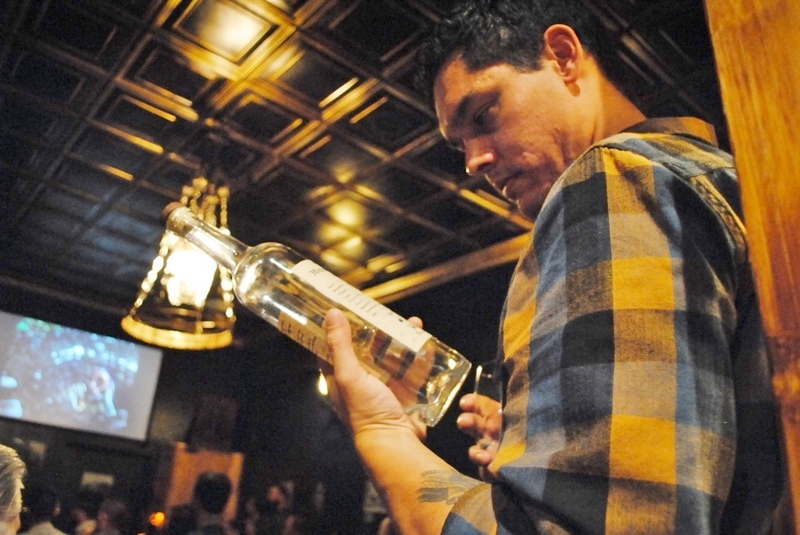 According to his introduction, he was instrumental in creating the Coming Out in Long Beach exhibit at the Historical Society and has been involved with the LGBTQ Caucus of the National Education Association as a former teacher. Dave Newell, a long time Long Beach resident, was honored for being one of the longest-serving presidents of the Long Beach Lambda Democratic Club, a contributor to the Coming Out in Long Beach exhibit and for serving on the city’s Human Relations Committee, one time as chair. 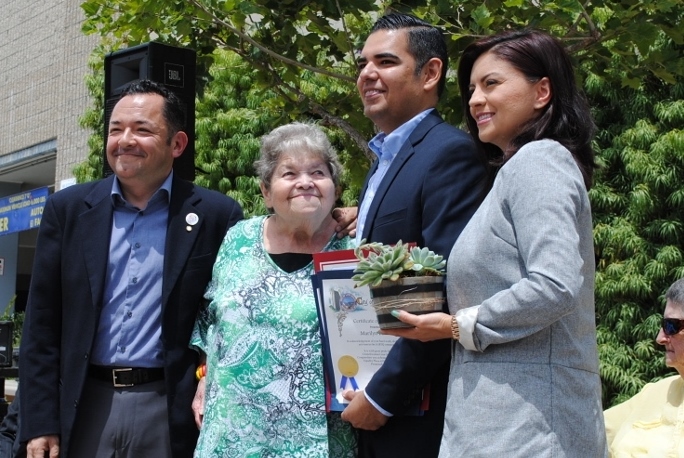 Co-founder of Long Beach Pride Judi Doyle was also honored. She helped start AIDS walk and was heavily involved with the Southern California Women for Understanding. Other honorees included Marilyn Barlow, also a co-founder of Long Beach Pride and Rick Ford, who produced the first Coronation Ball of The Royal Court of Long Beach and established the International Imperial Court of Long Beach in 1971.